No IELTS or TOEFL required for undergraduate programs! We are proud to announce that the University of Regina has become our partner in University Pathways Program and accepting GEOS level 6 into its undergraduate programs. No IELTS or TOEFL requirements for SC GEOS students anymore. 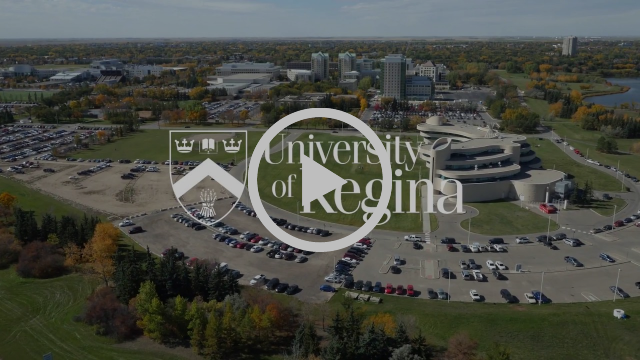 The University of Regina is home to 10 faculties, two academic units and approximately two dozen academic departments which have established reputations for excellence and innovative programs leading to Bachelor’s, Master’s, and doctoral degrees. In Fall 2016, more than 14,500 full-time and part-time undergraduate and graduate students enrolled at the University. U of R is the leader in the critical area of experiential learning. In 1969, U of R was the first university in Western Canada to offer co-operative placements and it now offers the Co-operative Education & Internships Program in more than 50 programs in the Faculties of Arts, Business Administration, Engineering and Applied Science, and Science. Visual arts covers a broad range of two- and three-dimensional media such as sculpture, painting, ceramics and printmaking, among others. You will work alongside professors and instructors who themselves are curators, artists, researchers and critics and are active in the Canadian art community and beyond. With this degree you can gear your future career opportunities towards being an art educator/critic, an art writer and so much more. Develop and implement software projects; analyze and problem solve in various programming languages; design human-computer interfaces; define and solve problems think analytically and creatively. This full-time (4 year) or part-time program offers great courses. With this degree, you can venture into diverse occupations such as: IT Consultant, Multimedia Designer, Software Developer, etc. The Bachelor of Kinesiology consists of 120 credit hours of study (or 7 full-time semesters of 5 classes each plus one semester of Fieldwork) in one of the following majors: Human Kinetics (HK), Health Promotion (HP), or Gerontology (GERO). These majors will prepare you to work in the areas of exercise such as: rehabilitation, counselling, exercise leadership, health promotion and wellness. Gain knowledge, skills, tools and techniques based on The Project Management Institute. Start to plan and execute projects on time and on budget. The Project Management Certificate is designed to meet the professional development needs of experienced project managers facing new challenges and novice managers who are new to project management.